Help us by clicking a link and adding any item to your cart at Amazon within 24 hours, and we will earn a small referral commission. 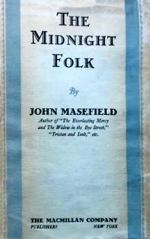 Below are search results for The Box of Delights by John Masefield at Amazon. You can visit Amazon to customize this search. 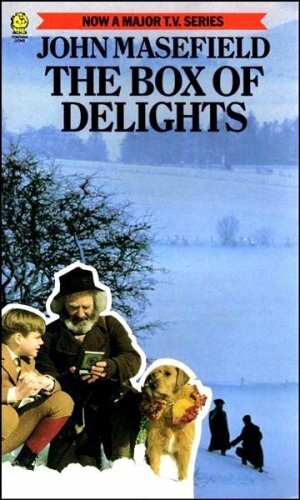 Below are search results for The Box of Delights at Alibris. You can visit Alibris to customize this search. 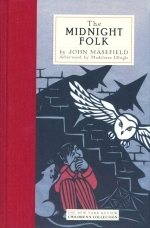 Below are search results for The Box of Delights by John Masefield at AbeBooks. 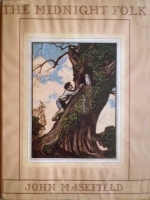 You can visit AbeBooks to customize this search. 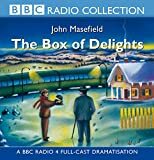 Below are search results for The Box of Delights audiobooks at iTunes. Browse iTunes to customize this search. Don't believe everything the characters tell you. 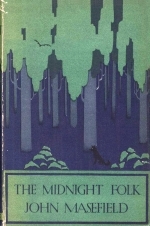 Recommended for fans of John Crowley, Paul Park, and Michael Swanwick. 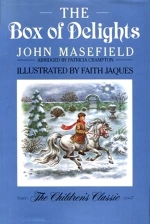 Below are search results for The Box of Delights ebooks at Apple Books. Strange things begin to happen the minute young Kay Harker boards the train to go home for Christmas and finds himself under observation by two very shifty-looking characters. 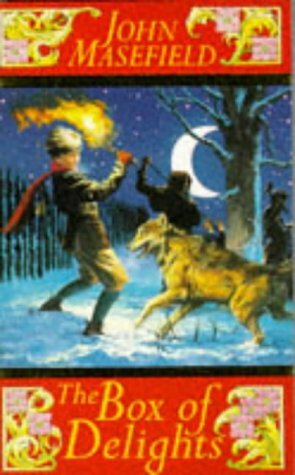 Arriving at his destination, the boy is immediately accosted by a bright-eyed old man with a mysterious message: “The wolves are running.” Soon danger is everywhere, as a gang of criminals headed by the notorious wizard Abner Brown and his witch wife Sylvia Daisy Pouncer gets to work. 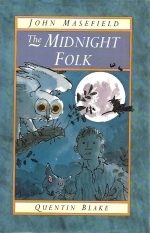 What does Abner Brown want? 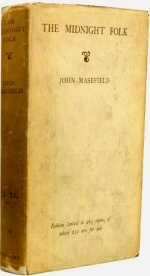 The magic box that the old man has entrusted to Kay, which allows him to travel freely not only in space but in time, too. The gang will stop at nothing to carry out their plan, even kidnapping Kay’s friend, the tough little Maria Jones, and threatening to cancel Christmas celebrations altogether. 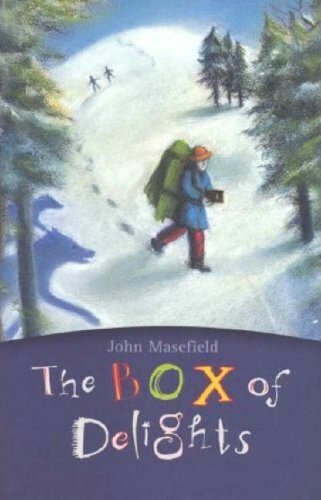 But with the help of his allies, including an intrepid mouse, a squadron of Roman soldiers, the legendary Herne the Hunter, and the inventor of the Box of Delights himself, Kay just may be able rescue his friend, foil Abner Brown’s plot, and save Christmas, too. 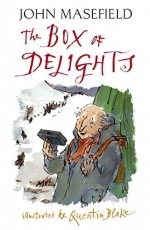 At once a thriller, a romp, and a spellbinding fantasy, The Box of Delights is a great English children’s book and a perfect Christmas treat. On the train he meets an old magician, Cole Hawlings, who charges Kay with safeguarding a wondrous device that has time-travelling powers. 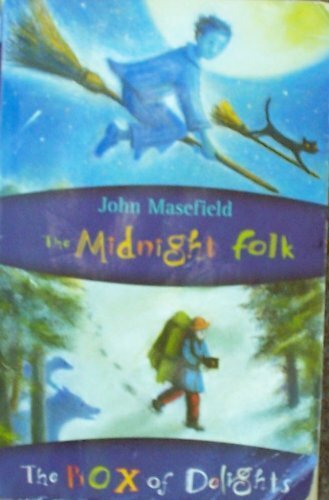 It's an instrument that Cole's nemesis, the wicked sorcerer Abner Brown, will stop at nothing to steal for himself. And so when the old man mysteriously disappears, Kay faces the fight of his life. 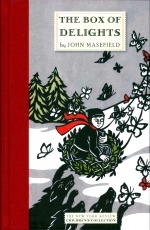 He must protect both the Box of Delights and, with it, the people he loves. 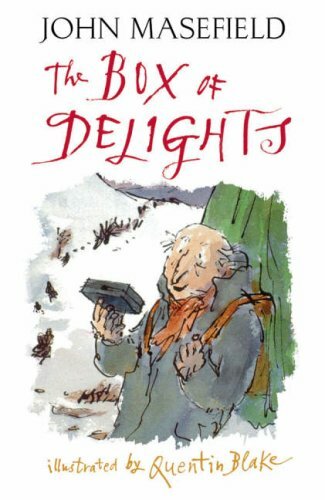 The Box of Delights is a magical and festive adventure in which one boy must confront the secrets of the past to defeat the evil in his present. The future of Christmas itself depends upon him. 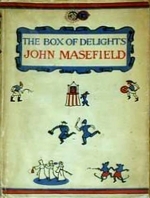 Adapted for the stage for the first time by Piers Today, John Masefield's much-loved classic The Box of Delightspremiered at Wilton's Music Hall in December 2017. A woman and her two young children are caught on a neverending train journey, a man discovers his new calling in life is the dispatch of the lonely and the desperate, a vegetarian vampire falls in love, a woman who just won't leave her husband alone, even after she's dead, two guitar-playing musicians seek out the ultimate jamming session, a young woman's path to recovery involves an unorthodox therapy, a psychic TV presenter meets her match in an ancient cellar. Dip into our Box of Delights and enjoy 16 brand new spine-chilling tales of love and death from the pens of Mike Resnick, Kristine Kathryn Rusch, Steve Rasnic Tem, Don D'Ammassa, Erin Pringle, Ian Wild, Priya Sharma, Robert Neilson, Eleanor Marney, Taylor Grant, N.A. Sulway, David Murphy, Sean MacRoibin, Erik T. Johnson, John F.D. Taff and Craig Saunders.